Why? Why would I swish around a bunch of chemicals in my mouth when I strive to eat farm to table food, take vitamin supplements, and use natural, non-toxic products in my environment? Such were my unspoken questions at my last appointment when the dentist prescribed a mouth rinse to help with my dental care. Funny how my people pleasing behavior immediately kicked in. I politely listened without asking any questions or giving any feedback to his recommendation. So I have no idea if my dentist had an alternative suggestion. And he hasn’t a clue that I try to avoid chemicals as much as possible. Plus, because I didn’t bother to probe, I came away with a lack of understanding regarding his concern for an increase of fluoride. I could have at least given the guy a chance to explain himself further before I dismissed the idea. For all he knows, I am following his advice. Sigh. Still working on that assertiveness thing. Nevertheless, it’s time to be more involved in taking responsibility for my teeth. Those ingredients I bought for homemade toothpaste aren’t going to do me any good sitting on the shelf. I still haven’t taken the time to call around for a dentist that practices an integrative or functional approach to dentistry. And I’ve procrastinated on oil pulling. So today, as the crunchy folks say, I op’d. In my opinion, it was disgusting. But I’m convinced I need to try. Natural, and seemingly rather strange practices, have wrought good results for my physical health. Thanks to advice from a medical doctor that offers a holistic approach, my cholesterol numbers have dropped from 286 (that’s correct, 286) to 196. That’s without the use of statins. My husband met with the same doctor who prescribed two natural ways to reduce the volume of his ever-present, intrusive tinnitus. And they worked! So what is oil pulling and why do it? Basically, you take a teaspoon of organic, good quality coconut oil (other oils are recommended as well) and swish it in your mouth until it becomes somewhat foamy. After about 15 minutes (depending on which article on the web you want to believe) you spit it out. Rinse your mouth with warm water and follow with a good teeth brushing. Some experts dispute the benefits of oil pulling and claim they are a myth. Other earthy health nuts, trained doctors, and regular folks swear by it. There is a simple explanation behind this odd thing. Some oil pullers have found that it whitens their teeth. Others claim it helps them lose weight. (Don’t ask me how.) 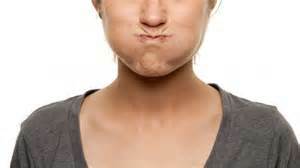 Testimonials abound that oil pulling has helped ________(you fill in the blank). And maybe I’ll do it again tomorrow. I did this for a few weeks when I was having some tooth pain….I think it helped,the pain went away. My mouth felt really good during that time. Jeff, I am on to day three. It does make my mouth feel good. Very clean. We’ll see if I can keep it up. Ben, I think you would like it. The coconut oil gets rid of bacteria which keeps us healthier.